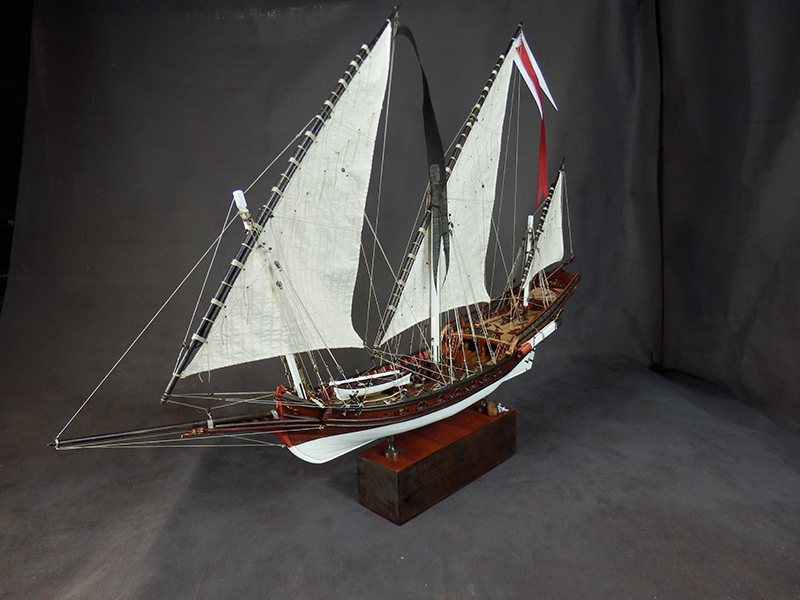 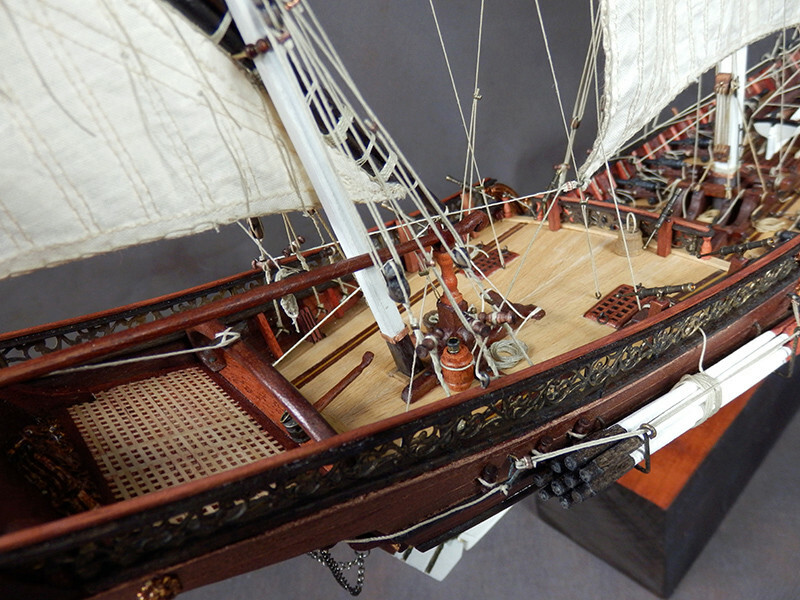 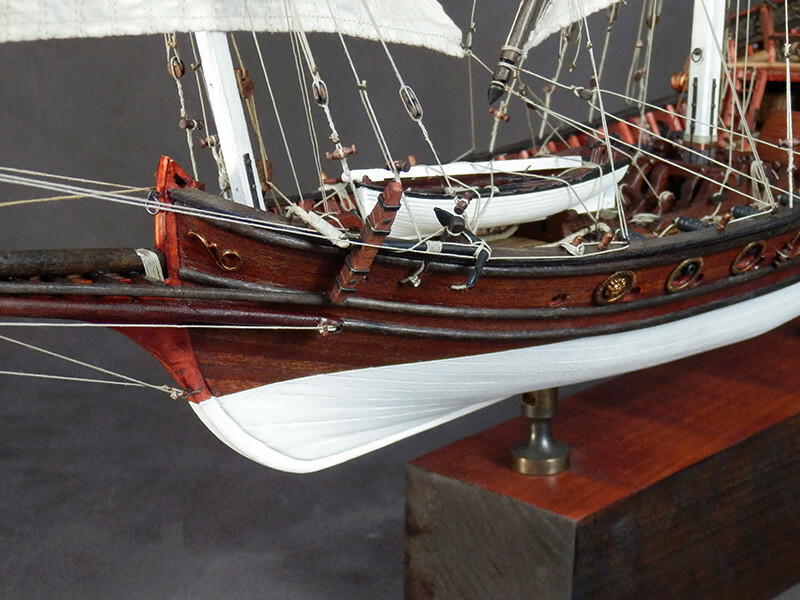 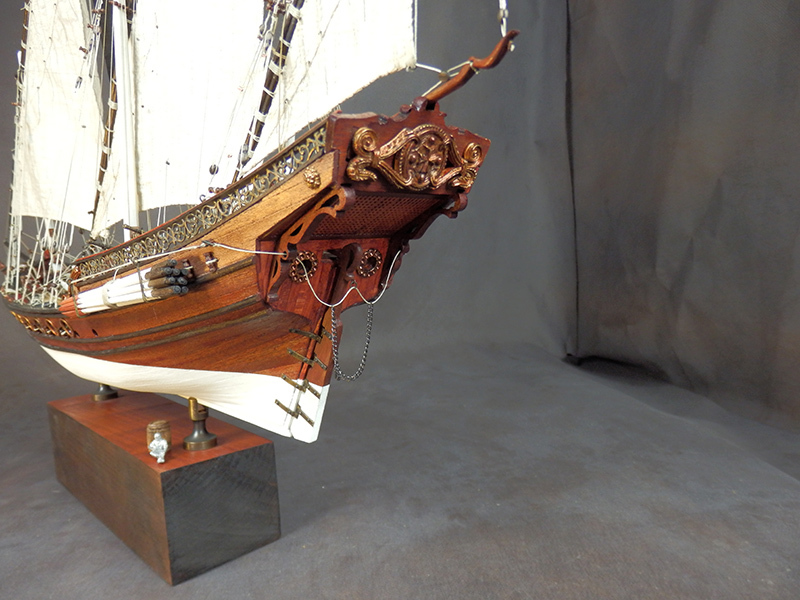 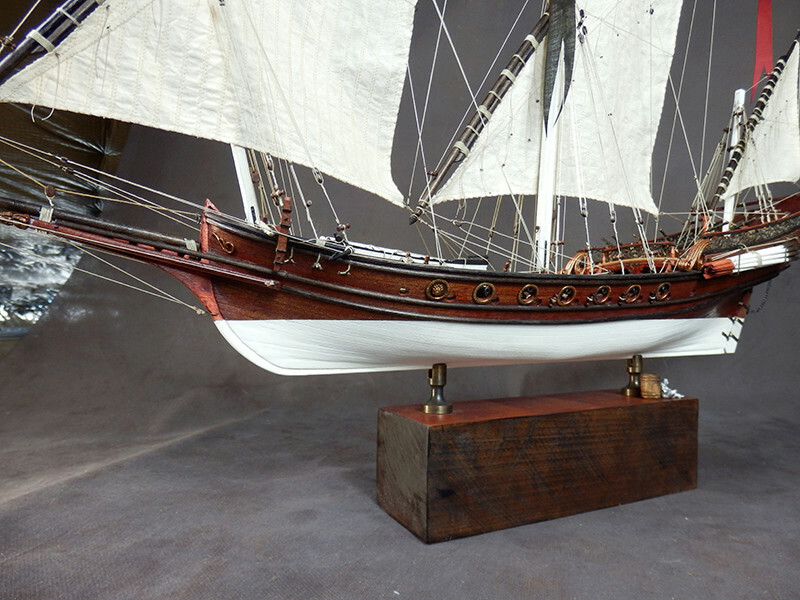 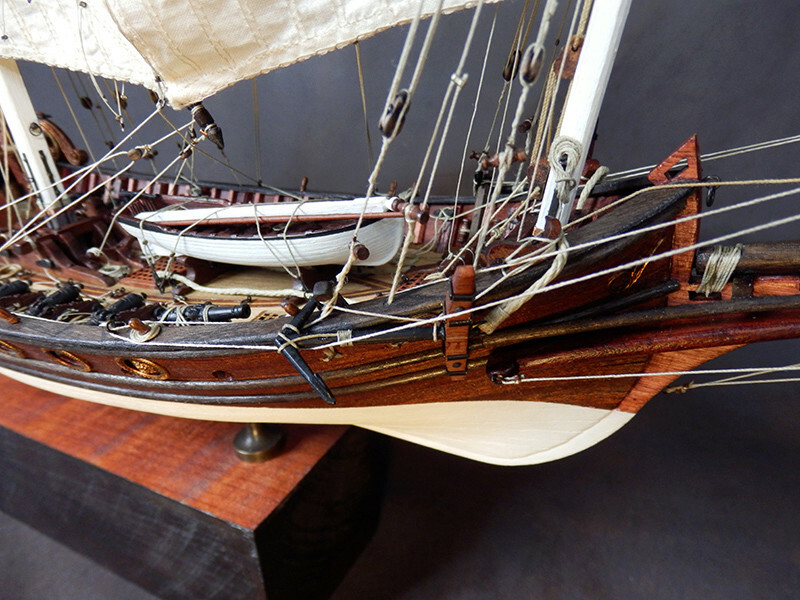 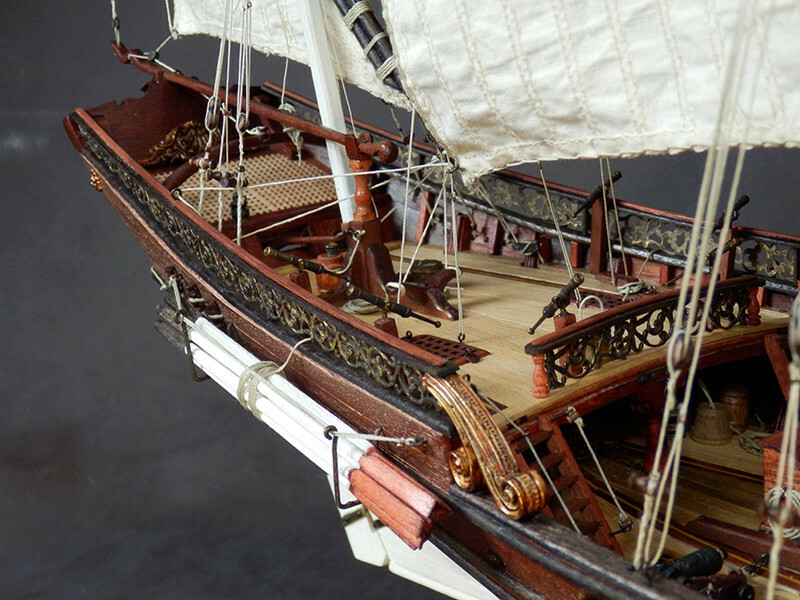 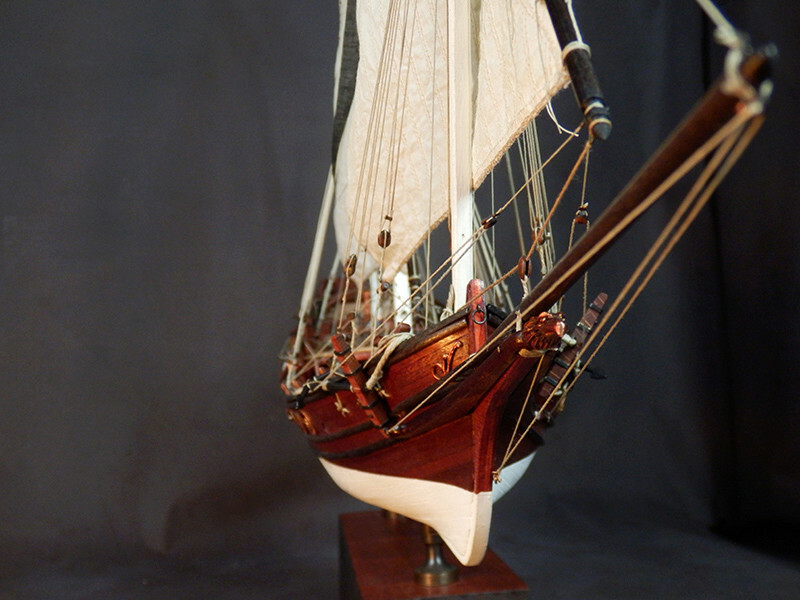 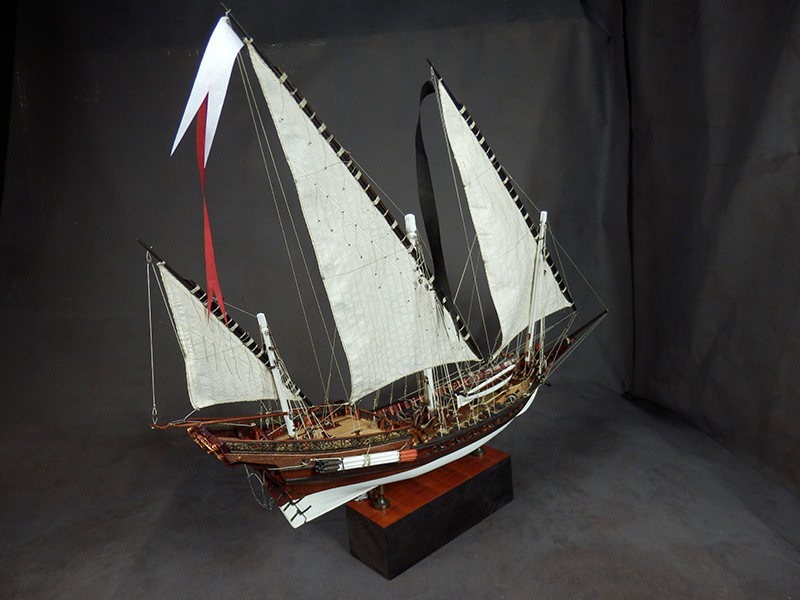 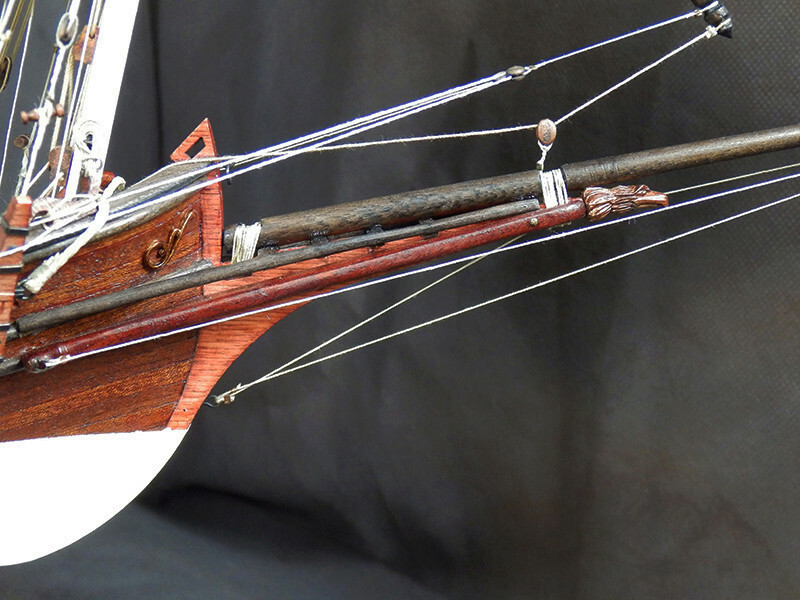 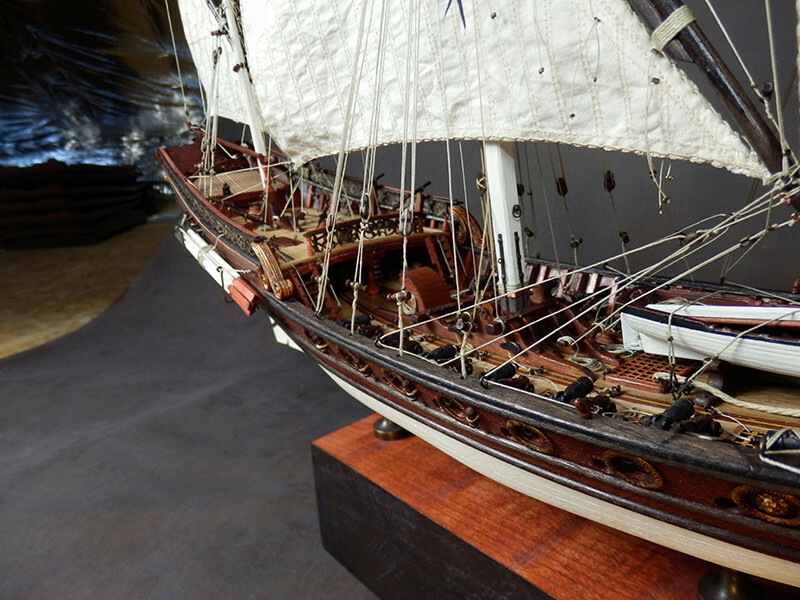 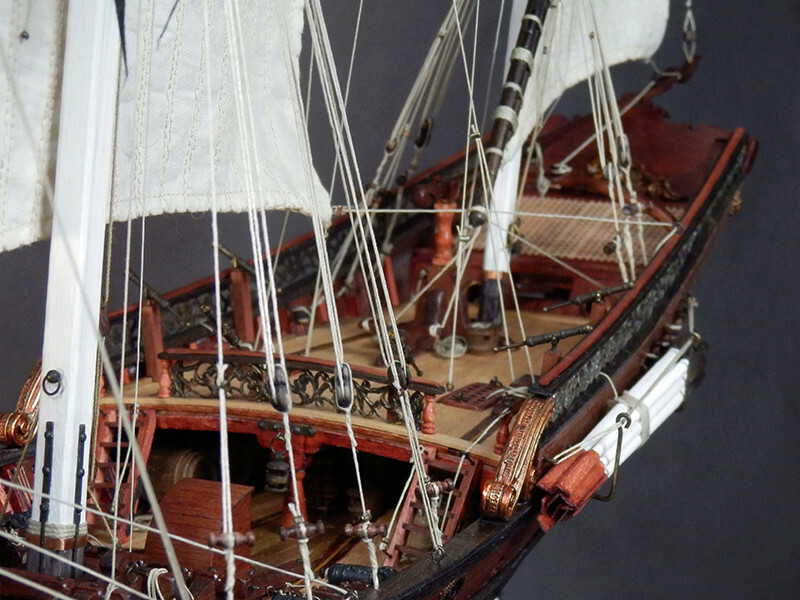 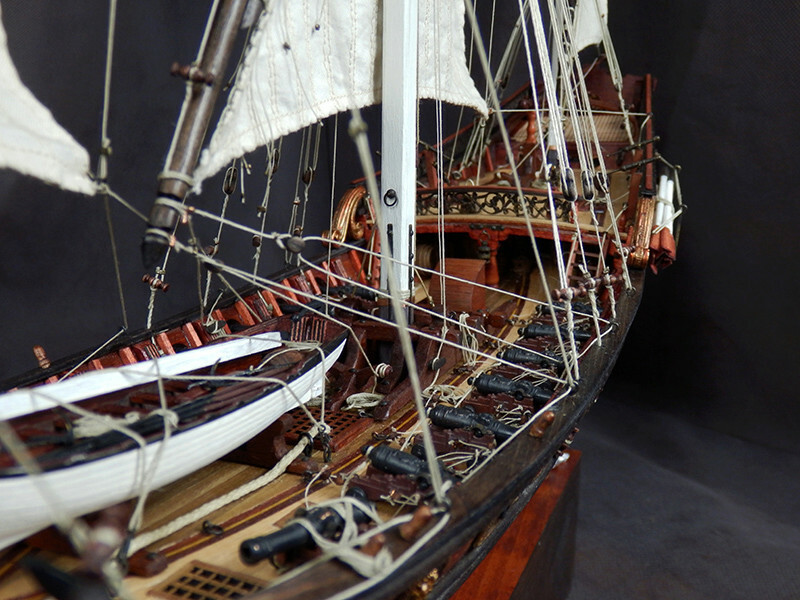 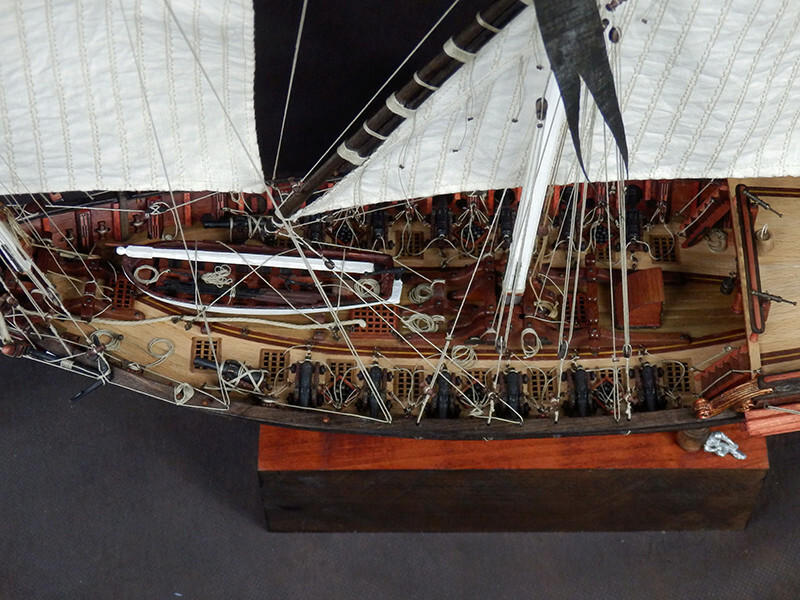 All-wood kit "Sciabecco del 1753", xebec, Amati edition at 1/60, measures approximately 72cm long, 50 high and 14 wide. 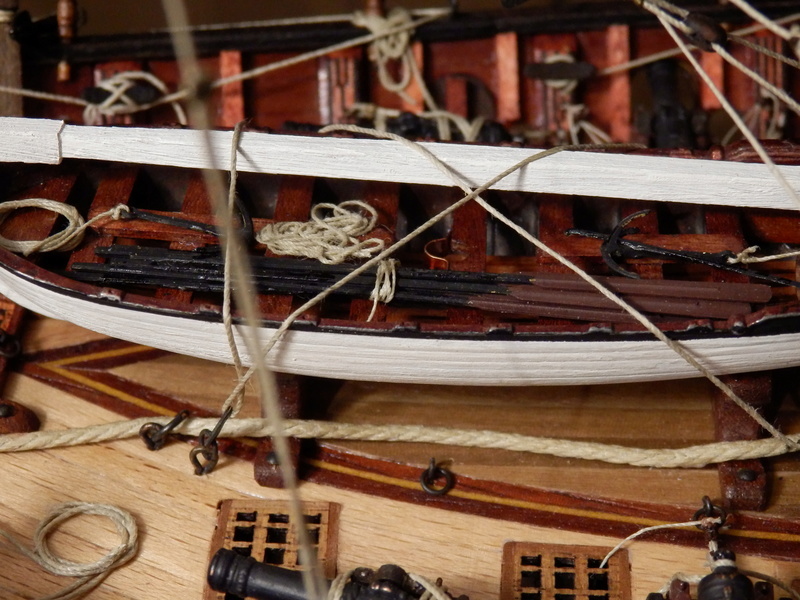 As usual, I adapted a little, with the help of the monography. 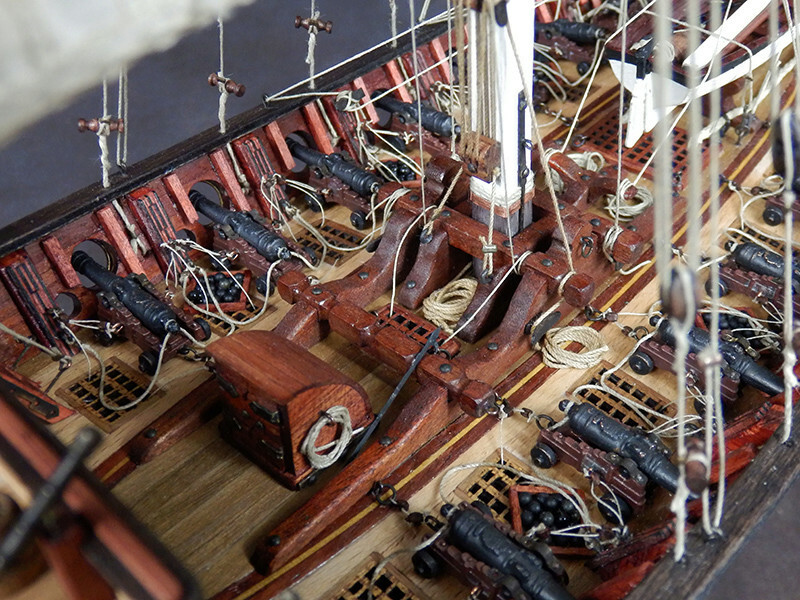 - The hull is double-lined on couples. 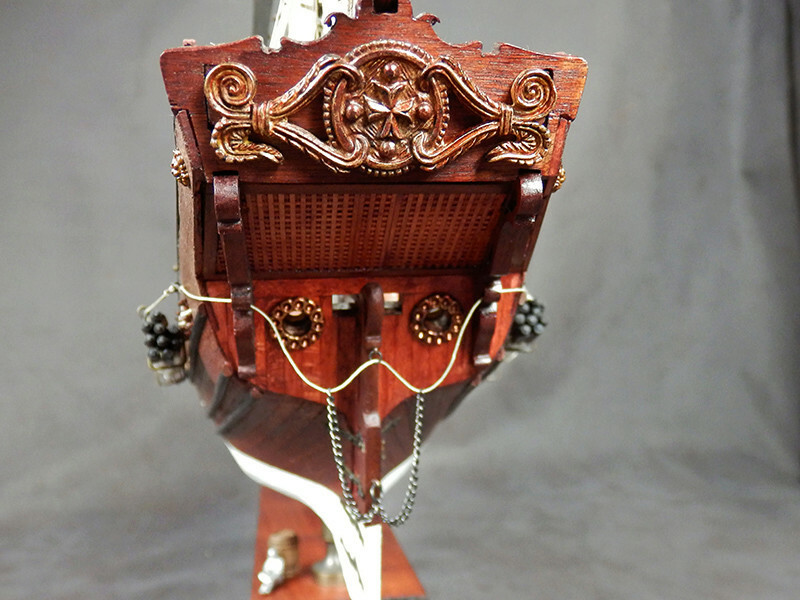 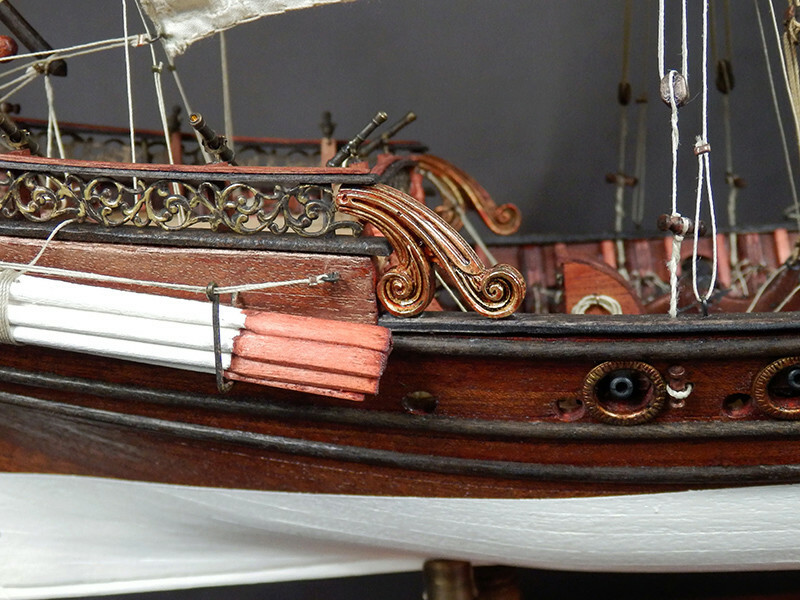 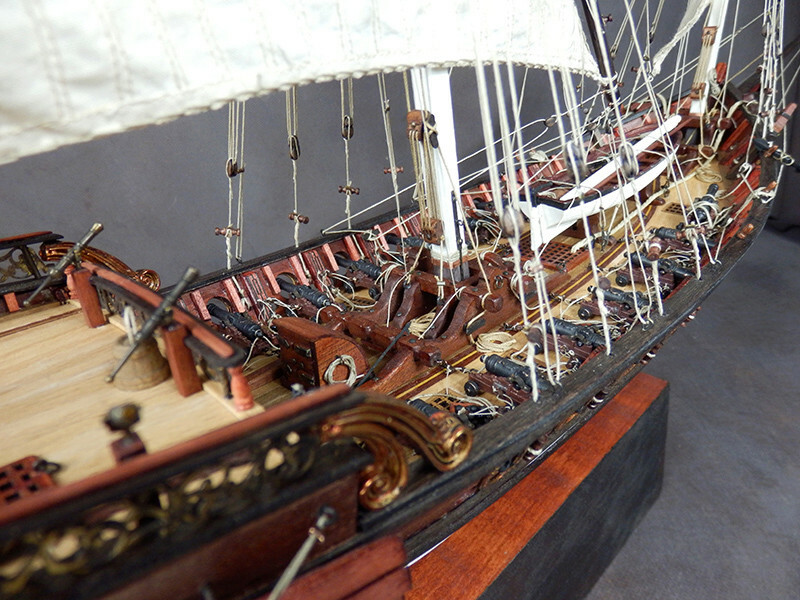 - The deck is lathed in the shape of the hull, with inlaid gratings and decorative rods. 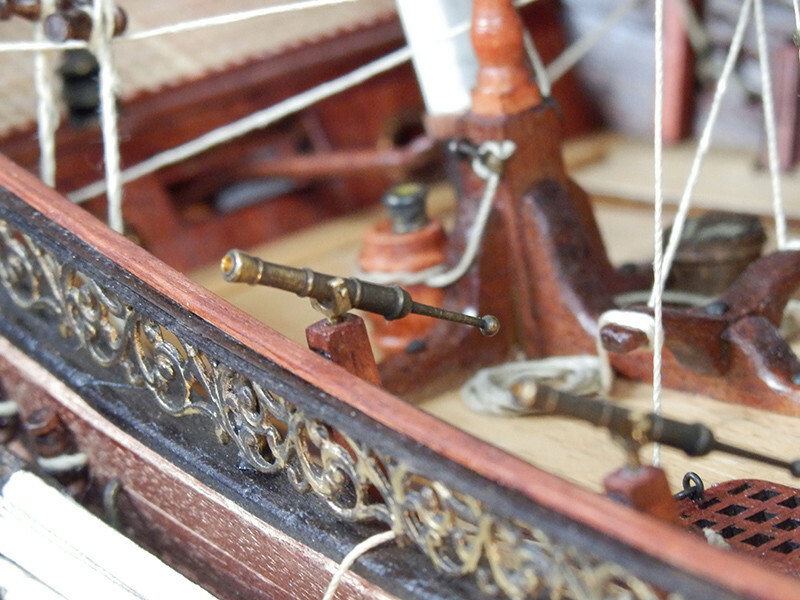 - The wall and the bridge legs have also received decorating rods to dress couples. 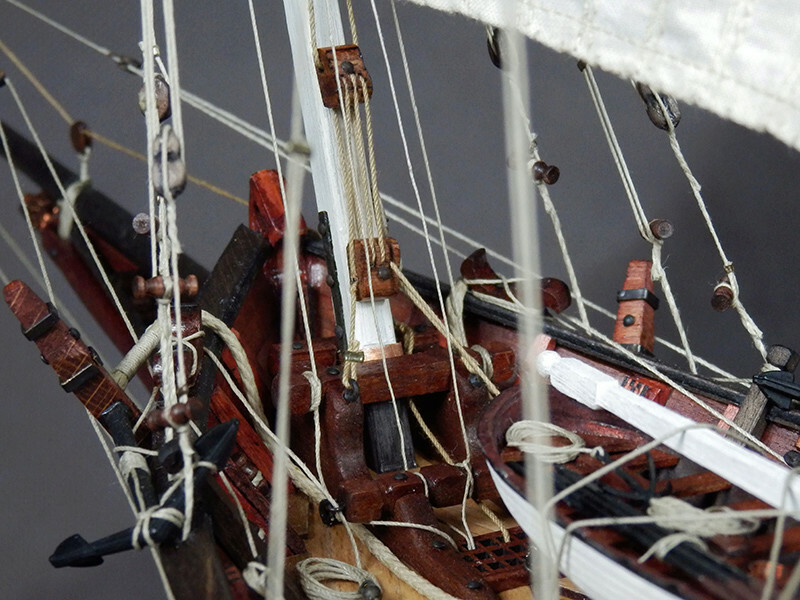 - The hold is fully decorated trompe l'oeil. 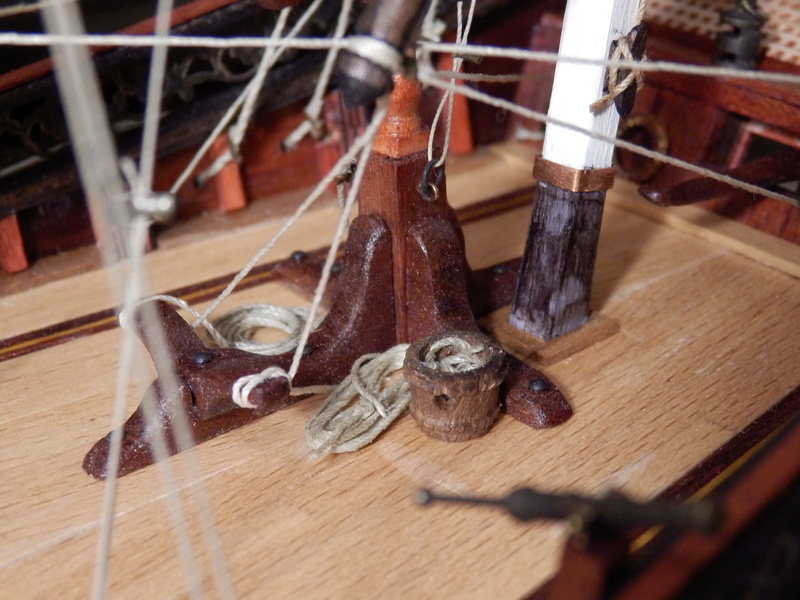 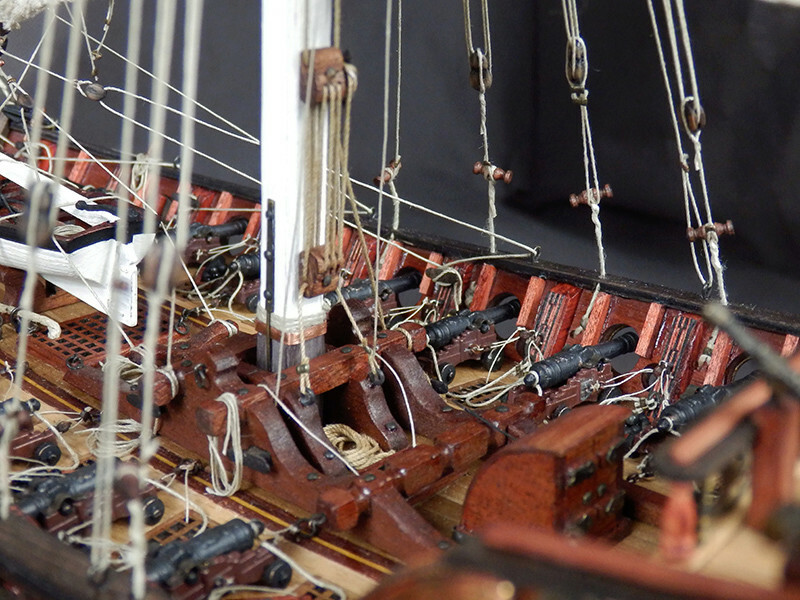 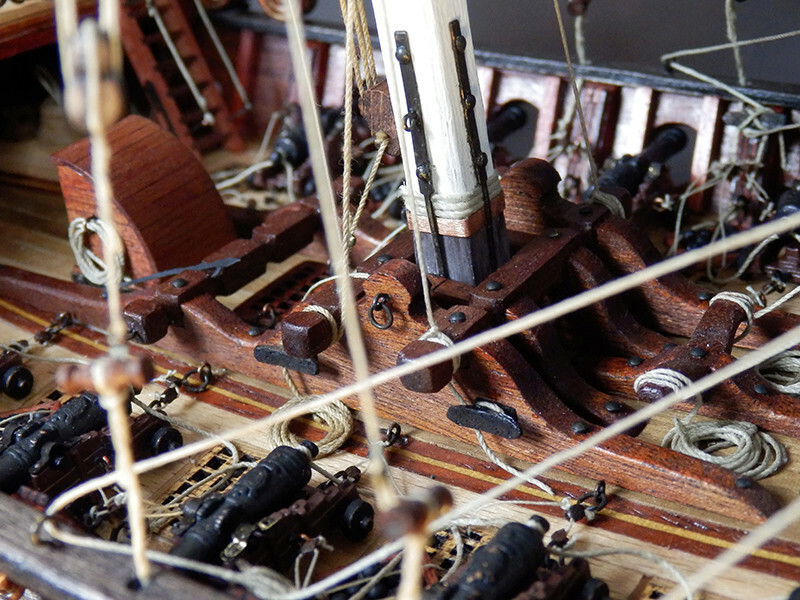 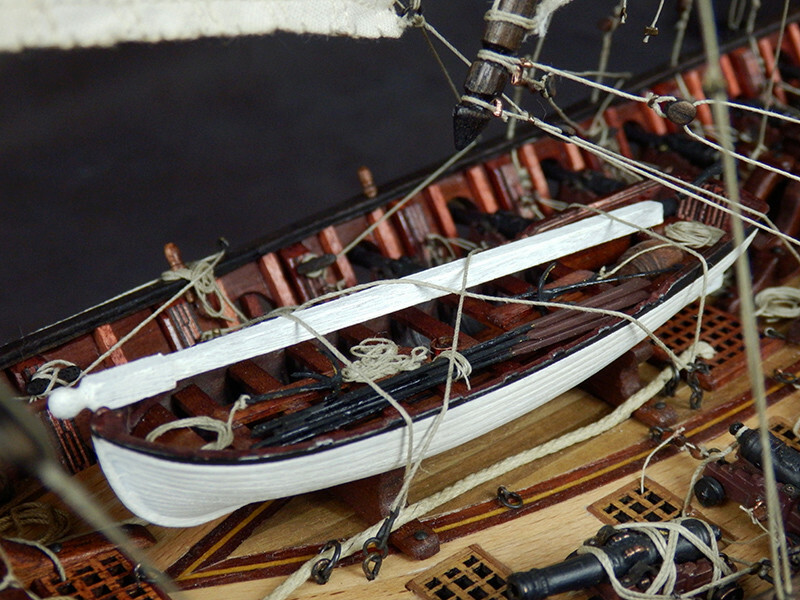 - The guns are rigged totally with side hoists and retreat, bragues and trunnions. 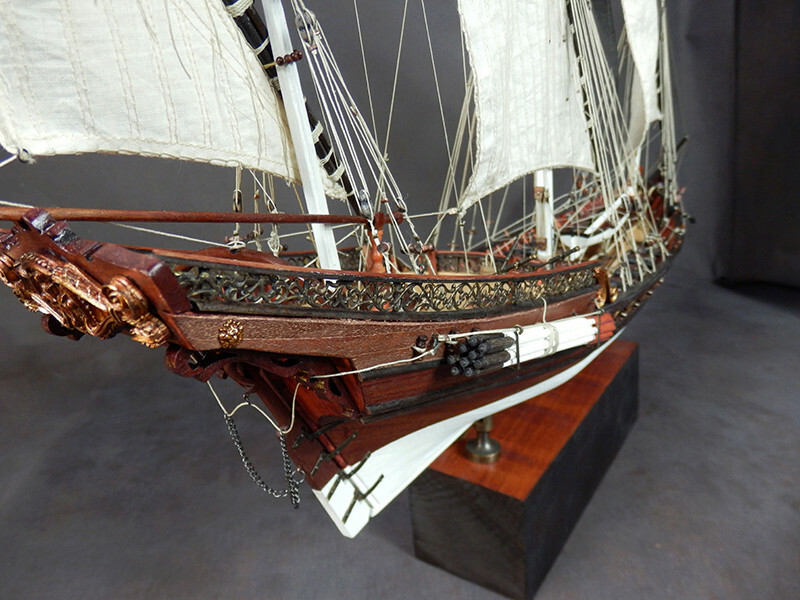 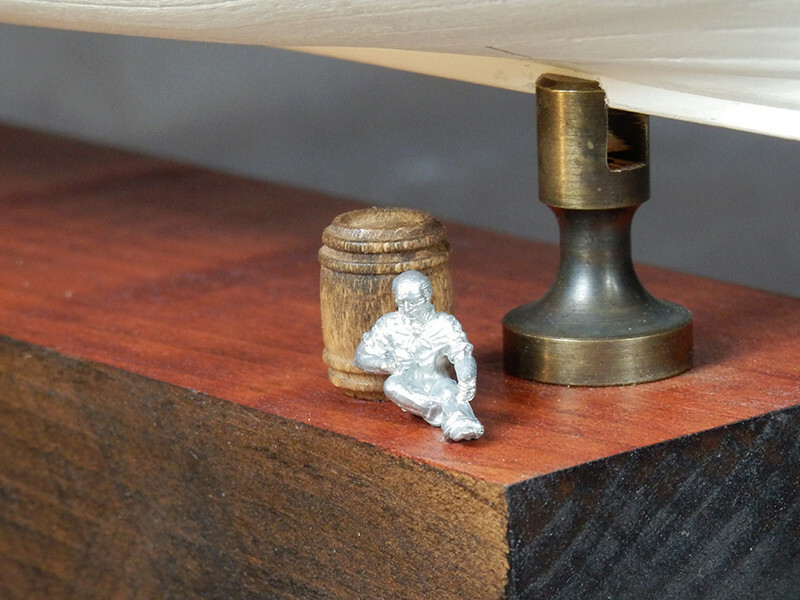 - A number of metal decors (gold or blackened metal) have been added. 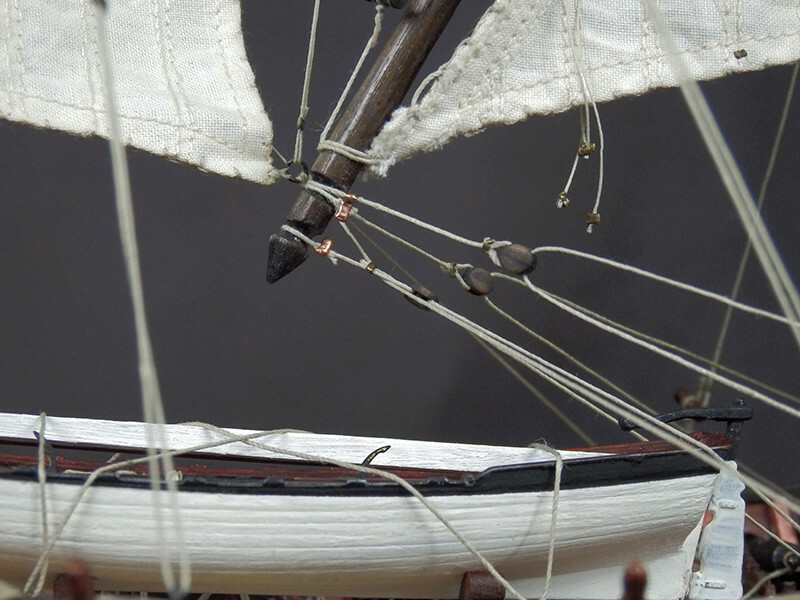 - The sails are sewn, tinted with tea. 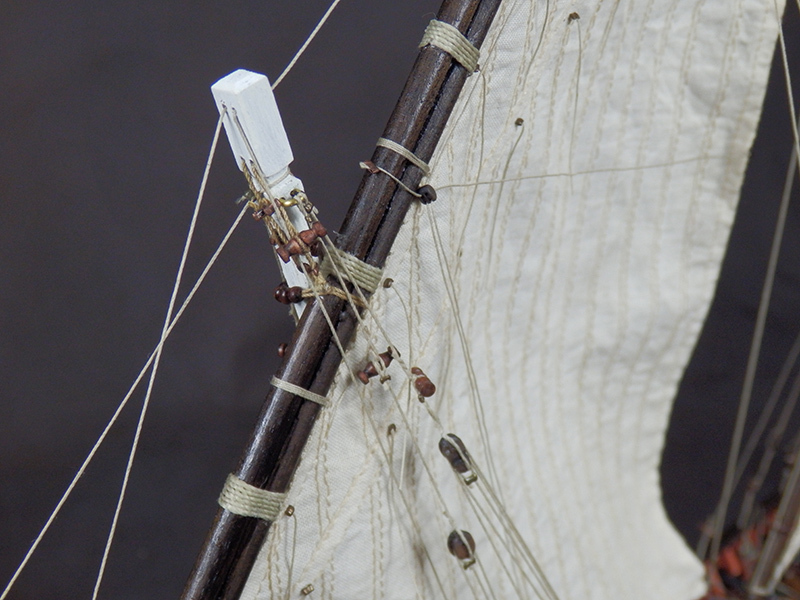 - The banners were created, tinted. 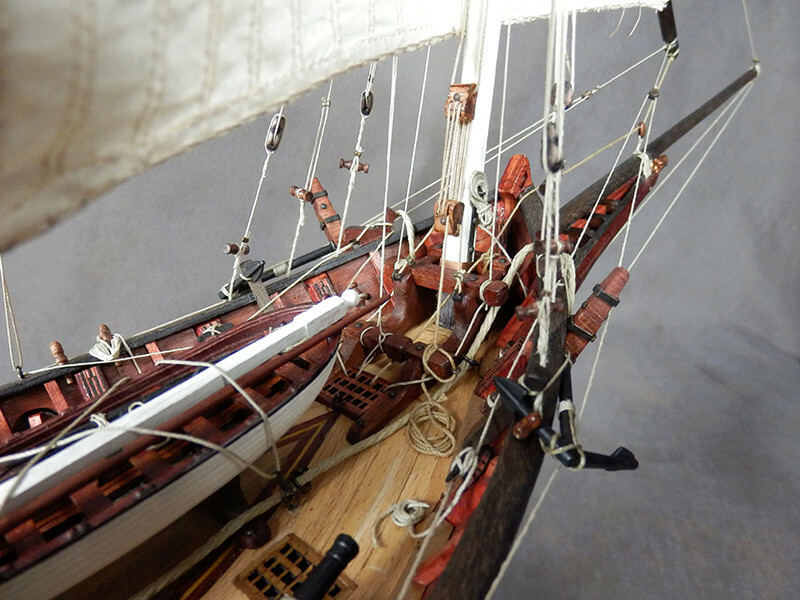 - The rigging has been enriched compared to that planned: addition of halyard hoists, change all the pulleys by others, finer and tinted. 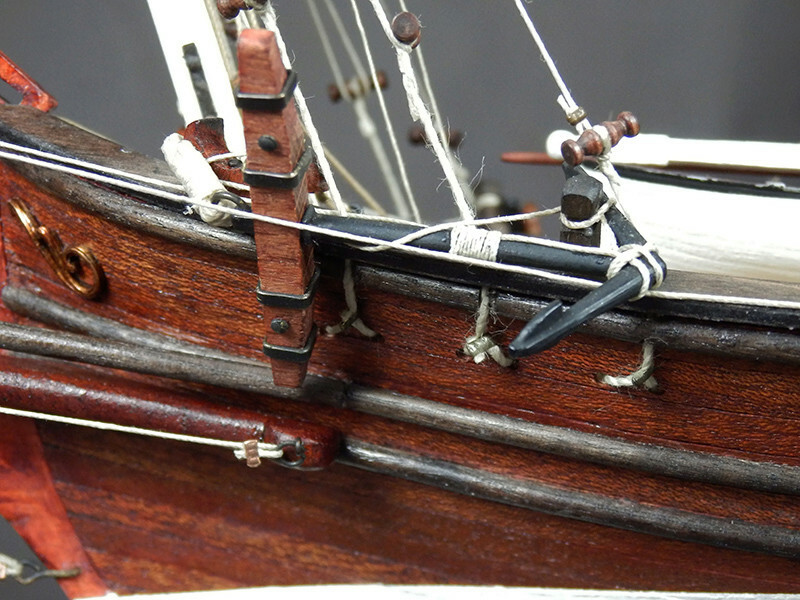 - All ropes and their diameters have been revised. 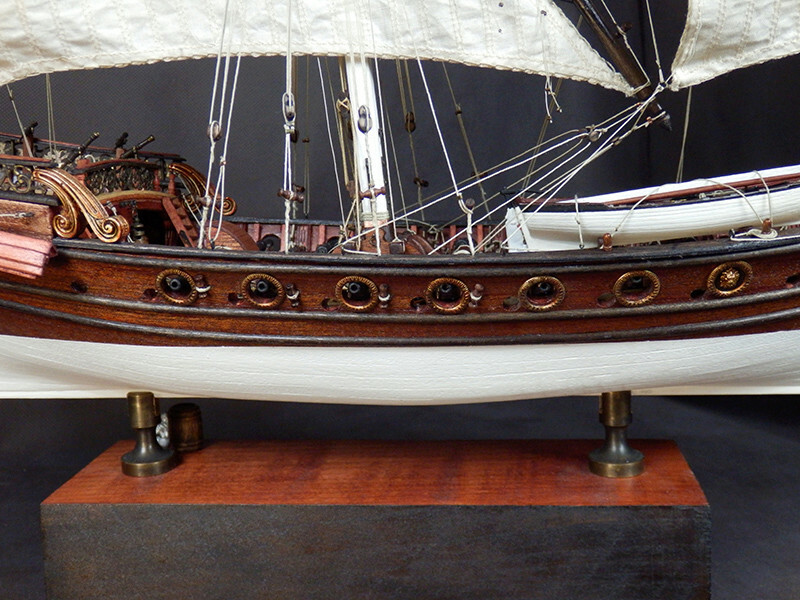 - All wood colors are persos: mahogany, wenge, rosewood, with the white waterline.